911 Restoration Miami and our water damage Lighthouse Point team is proud to have served the community for years, and will continue to do so through thick and thin no matter what. Of the 2.4 square miles of this town including its beautiful beaches, 4.5 percent is water. More than enough room for water related damage! Our water repair company handles weather-related and other types of water emergencies. From years of experience our water damage Lighthouse Point crew knows that there are many causes of water damage and flooding comes from storms, pipes bursts, toilets overflows, ruptured appliance hoses, water heater leaks and more. Using the latest equipment and only the best insured, bonded and certified technicians we value professionalism and especially our customers, so give 911 Restoration Miami a call and available 24/7/365. 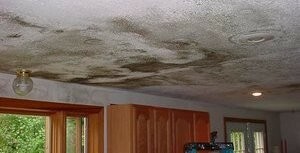 Water can lead to the growth of toxic mold, which weaken a structure’s integrity and more importantly can cause stuffy noses, coughing, skin irritation and sometimes severe allergic reactions. It’s imperative to contact our water restoration crew fast so that we can begin water extraction, repair and mold remediation if necessary. You can be proactive in preventing water damage by taking some advice from our water damage Lighthouse Point team. Check and replace old pipes, hoses and connectors in washers and heaters, clear out rain gutters and replace old roofing. Leave space between the wall and the refrigerator to keep the hose from bending and breaking and replace kinked hoses within six months. Never leave a washing machine on when you’re away from home. To prevent flooding, keep gutters free of debris. Insulate pipes, especially those near outside walls or crawl spaces and seal air leaks near pipes to prevent freezing. Even with all of this in place you can still experience a water crisis, so keep our number handy. If your property is already dealing with a gray water intrusion of any kind, then be sure to get in touch with our water damage Lighthouse Point team with 911 Restoration Miami today! You can afford water damage services because 911 Restoration is a water damage Lighthouse Point company that always puts the customer first with everything that we do. We make sure that our rates are affordable, offer free inspections and will work with your insurance company. We operate 24 hours a day, seven days a week and guarantee to respond to your call within 45 minutes. Our technicians are certified, insured, and bonded. Following your free initial inspection we will quickly develop and implement a plan to help you make a full recovery. Our water damage Lighthouse Point technicians can help with any water damage problem using the latest equipment for water removal, drying, remediation and even restoration services for houses, offices, and industrial spaces. Go with a company whose record for results is unparalleled. Whether it’s carpets, wood floors or crawl spaces, we can get the job done. 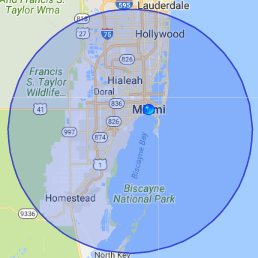 Read more here about our excellent services, and remember to call our water damage Lighthouse Point team with 911 Restoration Miami day or night for assistance with any sort of damage issue your property may have today!